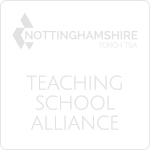 The Nottinghamshire Torch SCITT (NTS) is a great place to train to be a teacher. With our extensive package of support and guidance, choosing the Core and School Direct Training Pathways with NTS can offer you the very best training and preparation for your career. Your training will be mapped out for you in detail, ensuring that you gain the right experience in your subject specialism but also in school management, pastoral care and the wider role of a teacher. At the end of the course you will have secured a Post Graduate Certificate of Education (PGCE) with 60 Masters Credits from the University of Nottingham. Both Core and School Direct follow have the same outstanding training opportunities most School Direct applicants will have one of their placements at the Lead School Toot Hill. Apply through UCAS or contact us directly for advice.